The control center for the recording studio at New Orleans’ Jazz Theater at the Old U.S. Mint Building, featuring 8240A Bi-Amplified DSP Monitors and 7270A Active DSP Subwoofer from Genelec. NATICK, MA, August 7, 2012 — The Jazz Theater on the top floor of the Old U.S. Mint Building in New Orleans is designed around the music itself: the small (120-seat) rectangular room is intimate and acoustically pristine, fitted with complex movable panels that provide both diffusion and absorption while offering variable acoustics as they slide into place as needed for different types of jazz artists. As part of the New Orleans Jazz National Historical Park, the Jazz Theater is part of a larger museum that incorporates the State Museum's already substantial collection of jazz artifacts, a collection that includes sheet music, manuscripts, photographs, records (including what is thought to be the first jazz recording, from 1917) and instruments such as Louis Armstrong's first cornet. The theater is a modular 4,000-square-foot performance space with a stage that can be configured multiple ways to accommodate any type of jazz genre. The venue has hosted several great performances since it opened in late 2011, and it’s recorded many of them via its state-of-the-art recording studio at the rear of the space, where reference speakers from Genelec, the world’s longstanding pioneer in active monitoring, serve as the monitor of choice. A pair of Genelec 8240A Bi-Amplified DSP Monitors, featuring Genelec Directivity Control Waveguide™ (DCW™) and the rounded edges and gently curved front and sides of the Minimum Diffraction Enclosure™ (MDE™), provide uncolored and utterly accurate imaging. A Genelec 7270A Active DSP Subwoofer provides additional low end, creating the ultimate stereo-and-sub monitoring system for music as nuanced as jazz. 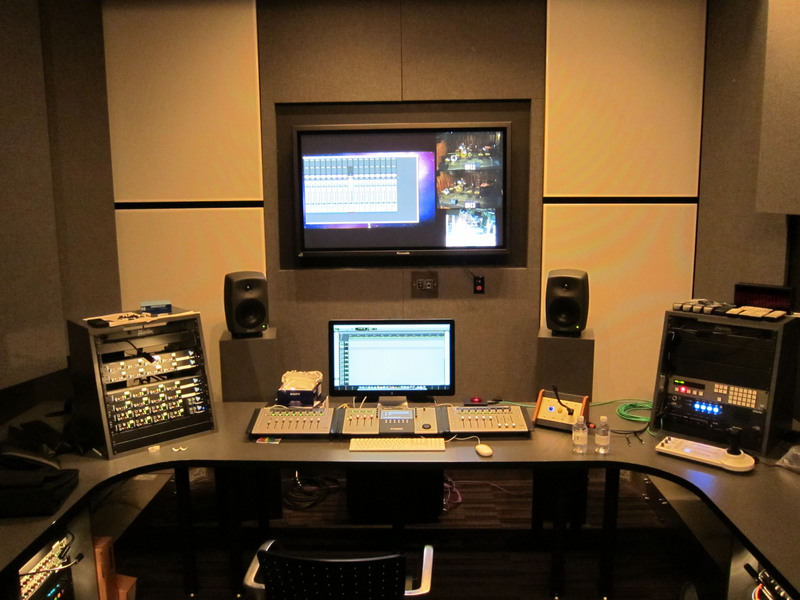 Photo Caption: The control center for the recording studio at New Orleans’ Jazz Theater at the Old U.S. Mint Building, featuring 8240A Bi-Amplified DSP Monitors and 7270A Active DSP Subwoofer from Genelec.